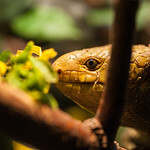 Largest known living species of skink, reaching a length of 32 inches. Color: body is olive to green, with scattered black scales on the back and legs. Capture for the pet trade and habitat loss due to logging are concerns. 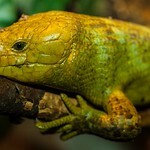 The Solomon Islands government has regulated trade on these and other reptiles to help avoid endangerment. 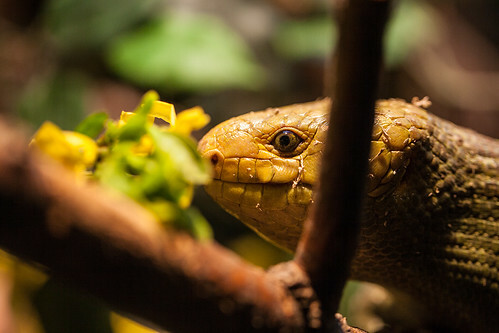 Lincoln Park Zoo participates in the Prehensile-Tailed Skink Species Survival Plan®, a shared conservation effort by zoos throughout the Association of Zoos and Aquariums. 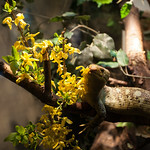 Unlike other skinks these animals are arboreal, spending little time on the ground. 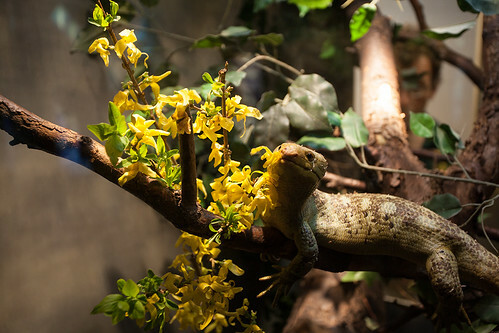 Prehensile-tailed skinks are usually found in the oldest trees in the primary forest. They lack the ability to drop their tails when attacked. 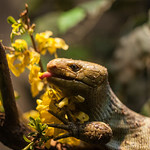 Copulation takes place during early evening in the trees and may last from 5–15 minutes. Gestation is about six–seven months, after which a single (occasionally a pair) large offspring will be born. 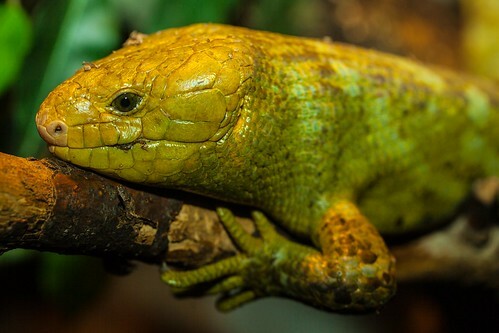 Large, strong digits equipped with sharp claws enable the skink to climb trees with ease. 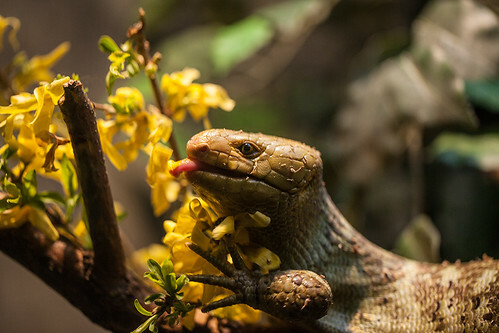 Disruptive color patterns and slow movements help the skink go unnoticed.